Huff discusses these cultural institutions and the changes occurring in them such as greater participation in scholarly discussion and the benefits of peer review. He states, “These additions to the institutional structure of science had to wait for the arrival of the printing press in the mid-fifteenth century.” (p. 342) Thus, the printing press played a significant role in the development of modern science. Effectively determining the effect of print on science can only occur by analyzing the state of science prior to the introduction of the printing press. Ancient Greeks like Aristotle practiced science through logical analysis, subjecting it to and incorporating it within the restraints of philosophy or rationality (Dolby, 1977; Drake, 1970; Huff, 2003, p. 89; Logan, 2004, p. 120). Medieval universities adopted this study of science. These universities purposed to transmit the knowledge of the ancients rather than create a climate of critical inquiry through observation (Eamon, 1984; Huff, 2003, p. 181; Logan, 2004, p. 166). This began changing in the fourteenth century. Significantly lower religious and bureaucratic restrictions in European universities differentiated them from the Arab and Chinese (Huff, 2003, p. 179). 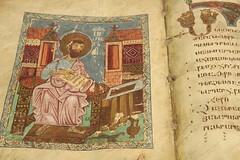 Increased autonomy allowed free development of curricula based on significant library collections of ancient manuscripts. Translation of many manuscripts (mainly into Latin (Dolby, 1977)) during the late Middle Ages allowed greater dissemination of scientific ideas among scholars, leading to a growing list of disagreements between various these ideas. Since rationality and logic could not solve these disputes, an increased emphasis on metaphysics and the search for truth forced scholars to search elsewhere (Logan, 2004). This mid-fifteenth century climate of science saw the introduction of the printing press. Several authors have argued the impact of printing on the development of modern science. Elizabeth Eisenstein (2005) states, “I think the advent of printing ought to be featured more prominently by historians of science when they set the stage for the downfall of Ptolemaic astronomy, Galenic Anatomy, or Aristotelian physics.” (p. 209) In much stronger language, de Solla Price (1967) argues “If science helped give birth to the printed book, it was clearly the printed book that sent science from its medieval habits straight into the boiling scientific revolution.” (p. 102) George Sarton (1938) postulates that science was impacted by the printing press in two main ways; the dissemination and standardization of scientific knowledge. It was not until the late fifteenth to early sixteenth century that distribution of the printed book began affecting the science of the day (Pettegree, 2010). Print shops depended on profits and since books of science were not in demand, printers did not produce them (Eisenstein, 2005; Febvre & Martin, 1976, pp. 109-127). Some print shops took over the role of scribes in copying and making available ancient writings but this simply prolonged the university’s style of curriculum and learning in the sciences. To make book printing for universities profitable, however, print shops began making more copies than ordered (Logan, 2004, p. 189). They made these copies available to the public, beginning the spread of knowledge outside the university walls. This led to greater self-education, allowing many more to take on the role of natural scientists (Logan, 2004, p. 189). Drake (1970) relates the story of Niccolò Tartaglia who had to self-educate due to poverty. His incredible talent in mathematics led him to become a private tutor and military advisor in the area of artillery. 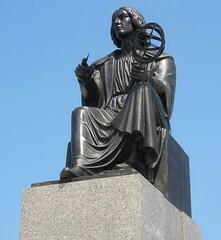 His lack of education however, did not qualify him for university entrance, yet Tartaglia published a book outlining his mathematical reasoning for projectile motion as well as translation of Euclid’s geometry requiring a significant understanding of Greek and mathematics. This new, non-institutional education ran in parallel with the development of personal book libraries, making scientific knowledge available to many people (Eisenstein, 1979, p. 511; Logan, 2004, p. 179). Using personal libraries allowed scientists to focus on applied science rather than travelling around from university to university to gain knowledge from the varied libraries of ancient manuscripts (Westman, 1980). At the same time, scholars looking for answers to disputes began associating with common people, especially trades people who had developed various technologies to help in their trade (Eamon, 1984; Hirsch, 1950). This involved the print shop owners since they benefitted from various technologies in the printing process (de Solla Price, 1967). The resulting reciprocal benefits between scientists and tradespeople led to an increased publication of trade ‘secrets’ in high demand by similar tradespeople and therefore profitable publications for printers. This relationship grew to the extent that some scientists managed their own print shops alongside their scientific studies. 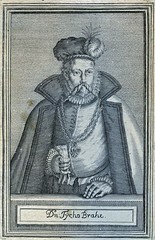 Drake (1970), citing Rudolf Hirsch states, “Regiomontanus printed in Nurnberg between 1472 and 1476 writings of his teacher, Georg Peurback, and his own, which according to well-informed critics heralded the beginning of modern astronomy and mathematics.” (p. 47) In another example, Tycho Brahe, an influential Danish astronomer advocating a form of heliocentricity, had a printing press and paper factory built on his property alongside his observatory (Thoren, 1973; Westman, 1980). In addition aiding the diffusion of scientific knowledge, the printing press also led to greater standardization. Logan (2004) writes, “Typography made possible a new level of standardization of textual material, which in turn promoted greater accuracy.” (p. 191) Standardization improved the use of images in printed books since they no longer required individually drawn illustrations. By making multiple copies and editions of the same book in the same location, it was profitable for printers to hire professional wood engravers to carve accurate images for diagrams (Pettegree, 2010, p. 276). Three significant areas of science benefitting from this were astronomy, anatomy and botany. These images afforded accurate comparisons, leading to significant growth in collective knowledge. The diagrams also eased the process of reading and understanding for scientists of different languages. The standardization of the printed book promoted further levels of abstraction in thinking (Eamon, 1984; Logan, 2004, p. 187). Organizing and classifying information became easier, leading to distinctions in fields of science such as astronomy, chemistry, botany, anatomy, etc. These increasing distinctions occurred in parallel with the increased publication of printed books focusing on these areas. Ancient writings often treated several domains of science within one publication so this was a significant change. At the same time, development of encyclopedic literature took place such as Gesner’s 1545 Bibliotheca universalis, an alphabetical list of authors who had written in Greek, Latin or Hebrew (Pettegree, 2010, pp. 290-296). Similarly, Albrecht Dürer published an extensive volume of medicinal plants with illustrations in 1530. Increasing levels of consistency affected the early sixteenth century’s rebirth of interest in the writings of the ancients (Drake, 1970). Many of the ancient manuscripts were the first of the printed ‘science’ books (Febvre & Martin, 1976, p. 258; Fussel, 2005; Sarton, 1938). Printers, scholars and translators desired accurate copies of the original manuscripts (Logan, 2004). Because many university libraries contained copies of copies, many errors and omissions had crept into the text (Eamon, 1984). In studying science as a branch of philosophy, much of the empirical focus of the ancients was lost, including many diagrams. In addition, many of the manuscripts had commentaries from unknown authors added to them (Dolby, 1977). Turning these manuscripts into print revived many missing pieces and deleted the commentaries, increasing their relevance to the current scientific studies. In conclusion, the influence of both standardization and dissemination of scientific knowledge through the printed book led to the development of modern science in Europe. With reference to distribution of the printed book, Pettegree (2010) states “But soon the potential of the new process became obvious, as did its role as a force for change as it began to make texts accessible on such a scale as to give them an impact which the manuscript book had never achieved.” (p. 248) In analyzing standardization, Logan (2004) says “The printed medium became transparent and hence its effects more abstract. Because of the neat and uniform way in which information could be organized on the printed page, typography also increased the trend toward uniformity, classification, and analysis.” (p. 187) These quotes clearly summarize the impact of Gutenberg’s printing press on the commencement of contemporary science. Eisenstein, E. L. (1979). The Printing Press as an Agent of Change: Communications and Cultural Transformations in Early-Modern Europe. New York, NY: Cambridge University Press. Eisenstein, E. L. (2005). The Printing Revolution in Early Modern Europe (Second – C.). New York, NY: Cambridge University Press. Febvre, L., & Martin, H.-J. (1976). The Coming of the Book: The Impact of Printing, 1450 – 1800. (G. Nowell-Smith & D. Wootton, Eds.) (English -.). Brooklyn, NY: Verso. Fussel, S. (2005). Gutenberg and the Impact of Printing (English – .). Ashgate: Ashgate Publishing Limited. Huff, T. E. (2003). The Rise of Early Modern Science: Islam, China and the West (Second.). New York, NY: Cambridge University Press. Logan, R. K. (2004). The Alphabet Effect: A Media Ecology Understanding of the Making of Western Civilization. Cresskill, NJ: Hampton Press, Inc.
Pettegree, A. (2010). The Book in the Renaissance. New Haven: Yale University Press. This entry was posted in Research Paper and tagged 15th century, brahe, codex, copernicus, dissemination, early printing, manuscript, medieval, printing press, science, standardization. Bookmark the permalink. I found your essay to be quite fascinating. I should mention these ideas to my English classes. Just today I was explaining to my students the importance of writing and close reading across disciplines. The ideas in your essay bring a whole other layer to that discussion. As a side note, I had no idea that many scientists had printing presses set up nearby. That’s really neat.